Fall Campaign: The Road Ahead - Child Advocates of Silicon Valley | CommitChange | We help organizations raise more money, more sustainably. These teens are all smiles celebrating their high school graduation. They each received guidance and support from their Court Appointed Special Advocate (CASA). 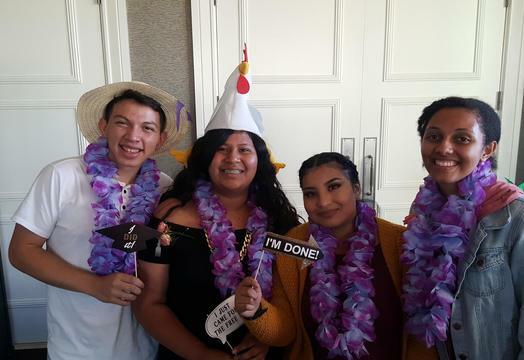 Their CASAs will continue to support them as they embark on the road ahead to college. Help us serve provide 100 CASAs for 100 children! We have a $10,000 matching gift challenge to help us reach our $20,000 goal. That means your gift will go twice as far! Research shows that when children have at least one caring person in their life, they can overcome great odds. Our Court Appointed Special Advocates (CASAs) fulfill this need. CASAs provide emotional and educational support to children in foster care, ensuring that each child's needs are met and their voice is heard in dependency court hearings. Thank you!